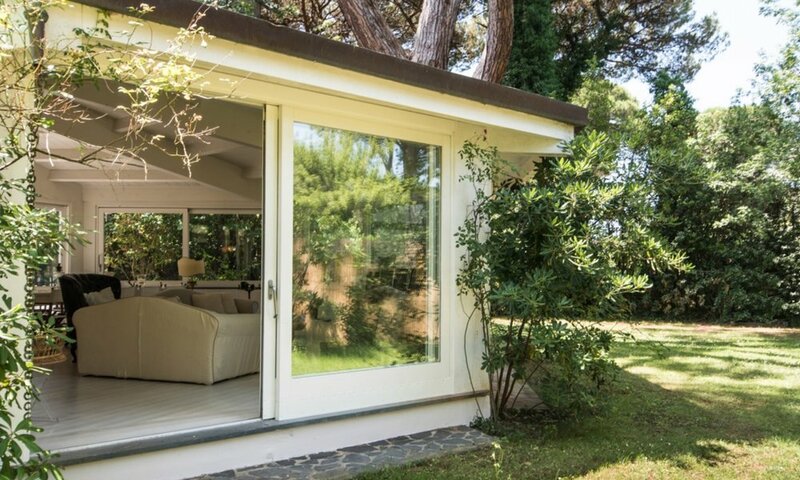 Located in Marina di Pietrasanta, the chic (and may we say, better) alternative to Forte dei Marmi, this forty years old villa has been renovated in 2017 by an English architect and decorator, set with antiques, books and paintings, unlike many other seaside villas who are simply empty shells for holiday makers: this one comes with big personality and furnishing of value. 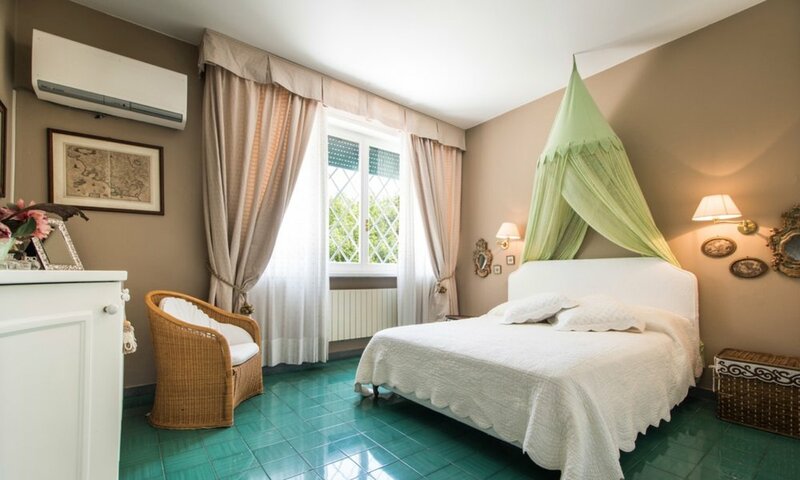 The interior is colourful and comfortable; the villa features five bedrooms, of which four are of a nice quality, with beamed ceilings and floors in both parquet and ceramics. One extra laundry room can be converted into a single extra bedroom for a child or help. 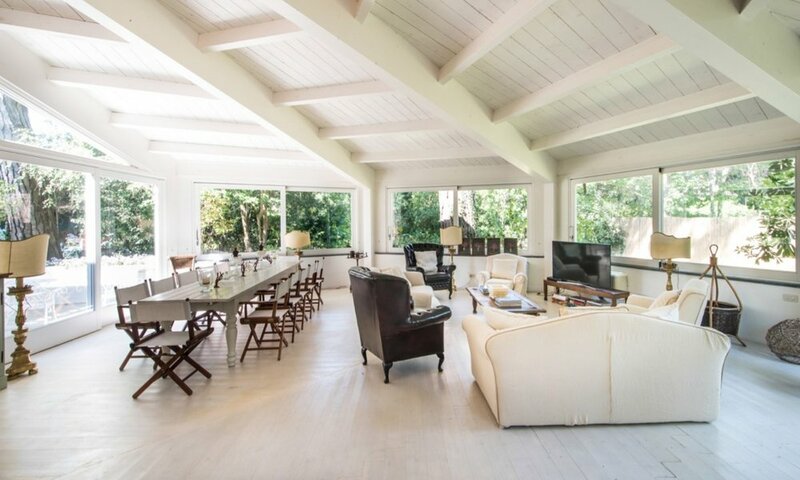 The windows open to the property’s wide garden and a pool house, which is completely independent from the main villa and perfect for large dining groups and happy times. These gardens have been landscaped with care and include several local herbs, plants, and flowers. 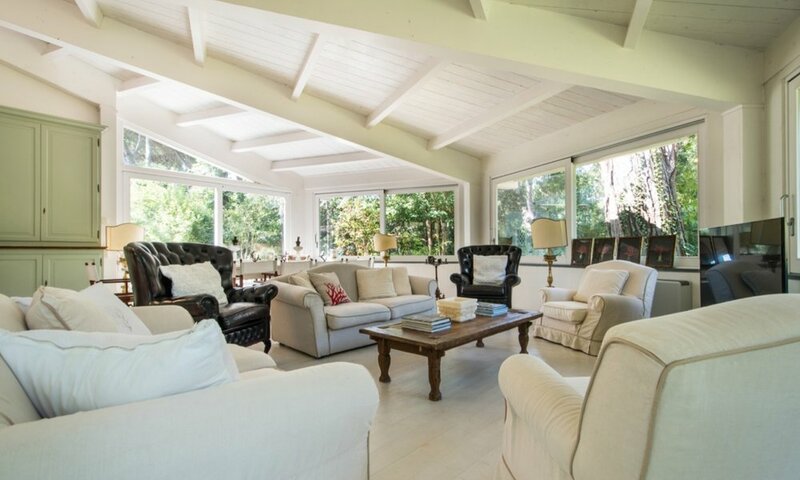 Located in a very, private setting, the property provides absolute tranquillity. Although it feels private, the property is still within short reach of the beach clubs of Marina di Pietrasanta (and Forte dei Marmi is only five minutes of car away, up to twenty with intense traffic). The legendary Tyrrhenian Sea upon which Versilia sits is but a ten-minute walk from the Villa or few minutes by bike. A haven for nature and sea lovers, this property makes for a truly delightful holiday escape for families and groups of friends.